For my first blog post I thought it’d be good to reflect on the events that have led to this point – where I’m posting my first blog on my website! As some of you might know, Instagram has played a large part of my life over the past few years. In my 30s I rekindled my love of photography, and just in time this social media app to share photos and videos came along and changed everything. It was sometime in 2015 during a harbourside stroll that I discovered the Instagramers Bristol account, thanks to a friend I was taking photos with. I took a shot of the architecture along Millennium Promenade. As I was uploading the image to my Instagram profile, my friend said ‘you should tag #IGersBristol’. My friend explained it was the tag used by an Instagram account which featured the best photography of Bristol and my friend said I might get ‘photo of the day’. I laughed off that suggestion, but gave the account a follow and added the hashtag to my post. A few hours later a notification popped up on my iPhone screen from Instagram: ‘@igersbristol tagged you in a post and mentioned you in a comment’. I wondered what I had done wrong at first. Then I saw my photograph on the screen and my heart jumped a little. They picked my photo! My ghast was well and truly flabbered. I started looking through all the other images on the hashtag thinking there must be some mistake, my photo definitely wasn’t worthy of ‘photo of the day’. And going through that tag I found all kinds of wonderful images and styles of photography. I discovered some fantastic local photographers and new places to visit. My journey had begun. During the months that followed I saw that IGersBristol run events and competitions. I was particularly interested in the instameets – events put together by the IGersBristol team designed to give instagramers great photographic opportunities and new places to experience. I didn’t quite have the courage to go to one on my own though. Meanwhile another friend of mine, local artist Matthew Price was also discovering the IGersBristol hashtag. We agreed we would attend our first instameet together. In March 2016 Matthew and I attended our first instameet. It’s what I would now call a classic itinerary. We met at Welsh Back, had a ride around the harbour with Bristol Ferry Boats and explored tourist attractions including Underfall Yard and the SS Great Britain. It was quite a day. A local independent online newspaper Bristol 24/7 covered the event and gave it a lovely write up, which was then picked up by BBC news and featured on the local section of their website. Amusingly the cover photo of their story was a shot of Matthew and I taking photos from the ferry. Fame at last! This was the first of many instameets I attended during the following year. It was great exploring new parts of Bristol and gaining exclusive access to some fascinating places and events with IGersBristol. But most importantly it was fantastic to meet new people and develop my photography. And more opportunities came along. In October 2016 the lovely people at Visit Bristol asked me to do my first weekend ‘takeover’ of their Instagram account, a fantastic way to showcase Bristol through my eyes and an honour to promote my home city this way. 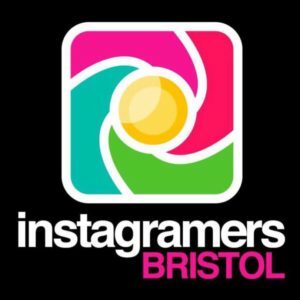 During 2016 the IGersBristol community was rapidly growing and as 2017 begun, the team needed a new moderator to help run the account and the ever popular instameets. I was really honoured when Jess, Ben and Mitch asked me to join them. It’s a job I love doing. I enjoy seeing the varied images of Bristol that people take every day. And it’s brilliant to help plan and deliver our events, knowing how much people appreciate them and the friendships and photographic techniques they build. It’s great to help build the community that helped me. I’ve seen friendships and relationships develop thanks to our community. I’ve seen people become amazing photographers, social media influencers and bloggers. And now here’s my first proper blog post! So if you’re in Bristol and taking photographs, please upload them to Instagram and tag IGersBristol. Who knows where it might lead?